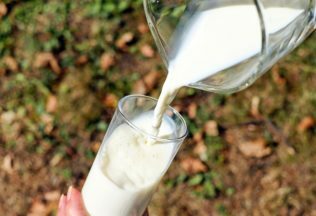 Australian scientists are using UHT milk to help them better understand Alzheimer’s, Parkinson’s and Type Two Diabetes. Published on 1 February 2017 in The Small Journal*, researchers reported that the same type of protein clusters found in UHT milk is also found in Alzheimer’s and Parkinson’s patients. Co-lead researcher, Australian National University Professor John Carver, said that two unrelated proteins aggregate in UHT milk over a period of months to form clusters called amyloid fibrils, which cause the milk to transform from a liquid into a gel. He said the same type of protein clusters are found in plaque deposits in cases of Alzheimer’s and Parkinson’s. “Our interest in milk proteins led to a discovery of the reason for this gelling phenomenon occurring in aged UHT milk,” said Professor Carver. “The research does not suggest UHT milk can cause these age-related diseases,” he stated. Approximately 500 million people worldwide have Alzheimer’s, Parkinson’s and Type 2 Diabetes with millions of deaths attributed to the diseases each year. *The Small Journal is published by Wiley and specialises in coverage of developments about science and technology on the micro and nanoscales.